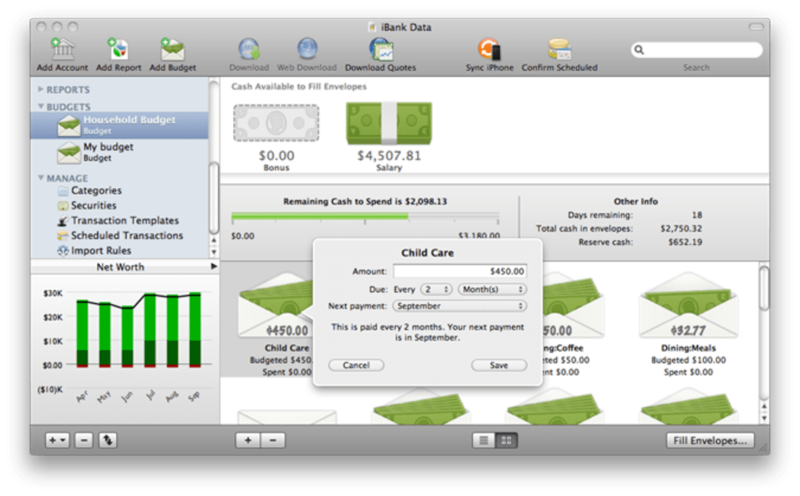 In the battle to provide a decent alternative to Quicken for Mac on Lion, iBank is arguably leading the way with a fully featured personal finance application that's truly impressive. iBank has come a long way since its initial release and is now probably one of the best personal finance apps available on Mac. Version 4 of iBank offers a sleek interface which makes it a pleasure to handle your personal finance, whether it be your budget, spending or portfolio. 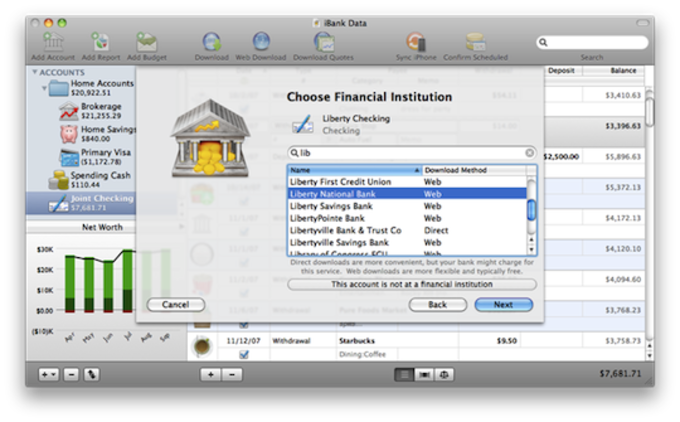 iBank is one of the few personal finance applications (along with Squirrel) that uses an iTunes style CoverFlow interface to show transactions and reports which looks great. What about features though? iBank doesn't disappoint there either featuring integrated online banking which makes it easy to download and import account information securely from banking websites. 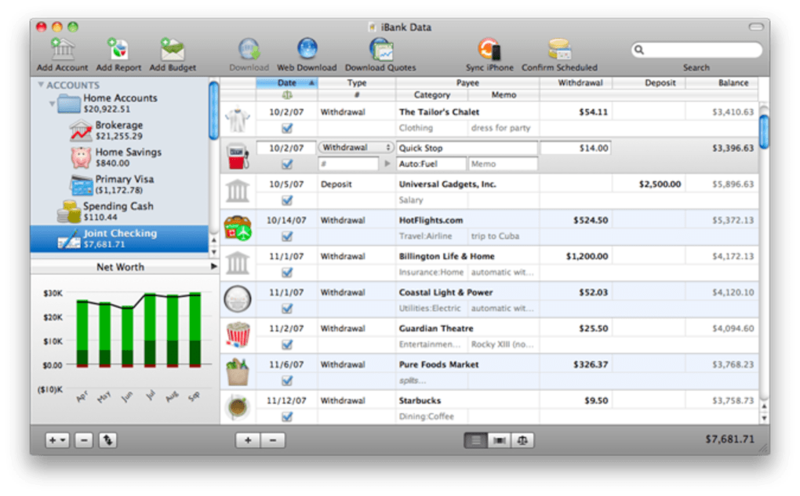 Like Moneydance, it supports bill payment features and it will import all of your Quicken data. Unlike Moneydance, it can even scan documents and receipts and attach them to accounts for better organization and finance tracking and there's also an iPhone app. You might notice some imperfections when importing data from Quicken 2007 but nothing you can't tidy-up quickly. iBank takes a bit of getting used to after Quicken but it has an extensive manual and plenty of tutorials to get you going. There's also an active forum of users where you can get help and suggest new features to the developers IGG Software who most users report are very responsive to problems and requests. 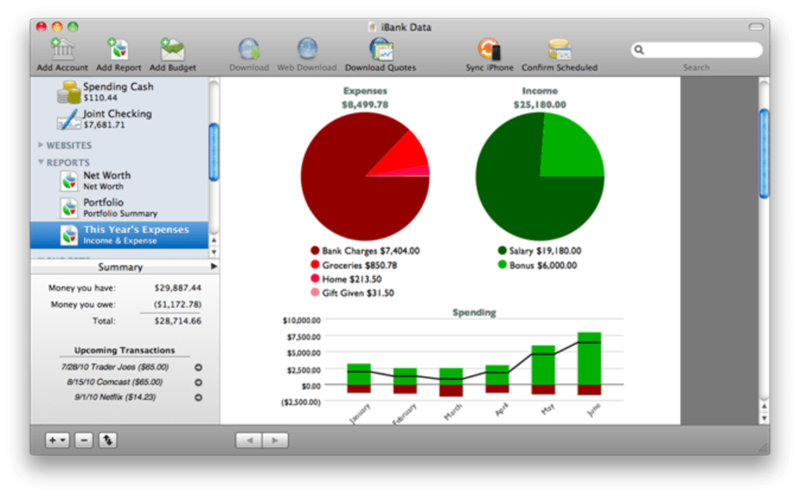 iBank includes analysis and forecast tools to generate graphs, charts and reports for all your financial information. If the stock market is what you're into, then you'll be glad to know iBank has got that covered. You can use it to manage an online porfolio, download daily quotes and get regular profit and loss reports on your investments. 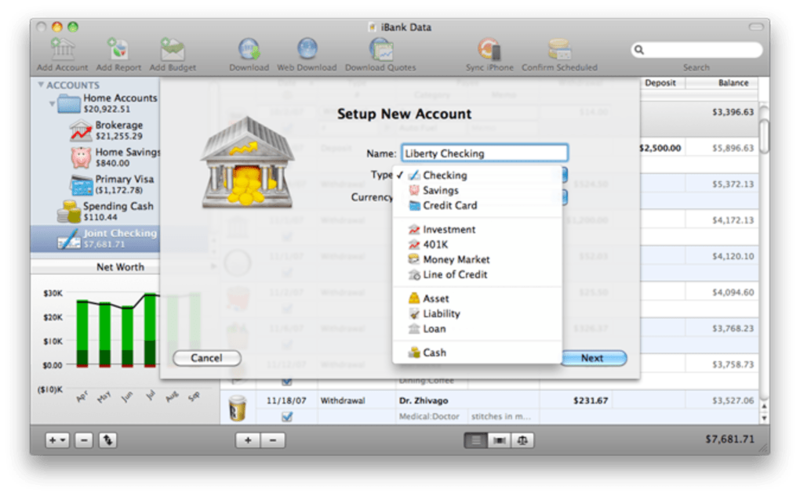 iBank is a highly professional and complete financial organizer for Mac and a superb alternative to Quicken for Mac. What do you think about iBank? Do you recommend it? Why?